Interleague play becoming a regular part of the daily MLB schedule was an inevitability with the Houston Astros moving from the National League to the American League next season. With 15 teams in each league, that uneven number requires one NL and AL team to play each other every day. In previous seasons, including 2012, interleague play usually took place in a two-week cluster during June. That left the rest of the season schedule, especially the slate for September, for teams to compete against each other for division titles and playoff spots. Look at what we'll get this season. The Los Angeles Dodgers and San Francisco Giants, traditional archrivals, are matched up for the final three games on the schedule. The same goes for the New York Yankees and Boston Red Sox. Elsewhere on the schedule, the Baltimore Orioles and Tampa Bay Rays—who could vie for an AL wild-card spot—play each other. The Atlanta Braves and Pittsburgh Pirates face one another in a similar situation in the NL. In a final series that could determine the St. Louis Cardinals' postseason fate, the defending World Series champions play the Cincinnati Reds. The 2013 MLB schedule does feature some compelling matchups between league and division rivals. The Braves and Philadelphia Phillies play a final series that could conceivably determine an NL East title or wild-card playoff bid. The AL West could be decided by a series between the Texas Rangers and Los Angeles Angels. The Pirates and Reds face each other for what could be a pivotal three-game set for the NL Central. But then we have the Detroit Tigers playing at the Miami Marlins to end the season (Sept. 27-29). Detroit might have to fight for an AL Central title or wild-card spot without being able to use a designated hitter in its final three games. That will likely cost them Victor Martinez, who figures to be one of the Tigers' top hitters when he returns next year. However, this is just looking at the final weekend of the season. Division titles and wild cards could be determined earlier in September. Perhaps the Red Sox won't be an AL East contender next season as they continue the overhaul begun this year. But having to play the Colorado Rockies at Coors Field during the last week of September (Sept. 24-25) takes something away from the AL East race. Let's be fair; this could detract from the NL West race as well. The competitions in the AL East and NL West could also be affected by what happens during the three-game set between the Yankees and Giants scheduled for Sept. 20-22. As fun as that series will be to watch, those two teams should be playing within their own league or division at that point of the season. Personally, I've always been a fan of interleague play. Before it actually became a reality in 1997, I often argued how cool it would be to see Barry Bonds hit in Tiger Stadium or travel to Wrigley Field to watch the Tigers play the Chicago Cubs. And that was just thinking about my team. What about the Yankees playing the Mets and other series between crosstown rivals? The novelty of watching AL and NL teams play each other during the regular season has worn off over the past 15 years. Interleague play is still a curiosity when it happens for the first time in a given season. After facing the other league for more than one or two series, however, it feels like a digression from the season that really counts. That digression will now bleed into August and September, the most important part of the MLB regular season. Yes, interleague play will take place throughout the entire season, but the final two months are when contenders separate themselves from the rest of the pack. September is the best part of the baseball season. Maybe not if your team is having an awful season. Then it feels like prolonged agony. But if you're a fan of a playoff contender, this is when the games really matter. This is when you feel the bliss or heartache that comes with watching your team win or lose. These are the games that can make you a fan for life. It's what keeps baseball compelling when college football and the NFL bully their way onto the sports calendar. 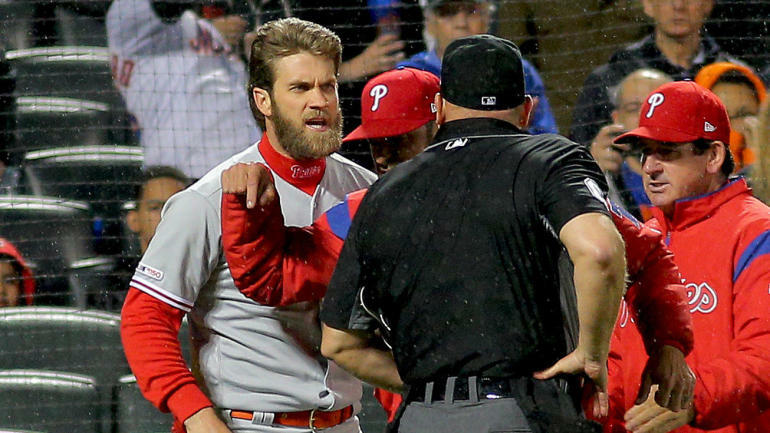 Baseball will still provide that drama, even with interleague play intruding on the final month of the season. But it won't be the same. That lament has been used every time MLB makes a significant change. I realize that. However, the pennant races truly will lose something with certain AL and NL teams engaged in a diversion that should be saved for the middle portion of the schedule. Unfortunately, once the scheduling change is made, baseball may never get that lost intrigue back.